Enjoy the best inspirational, motivational, positive, funny and famous quotes by Alan Abelson. Use words and picture quotations to push forward and inspire you keep going in life! 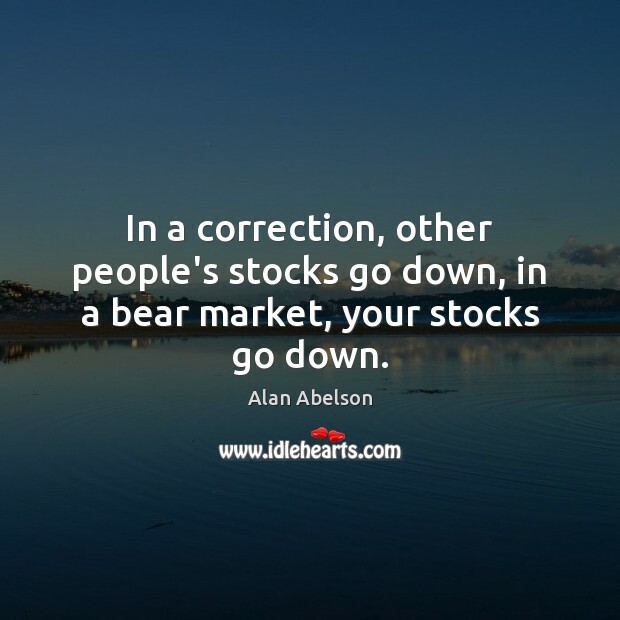 In a correction, other people's stocks go down, in a bear market, your stocks go down. 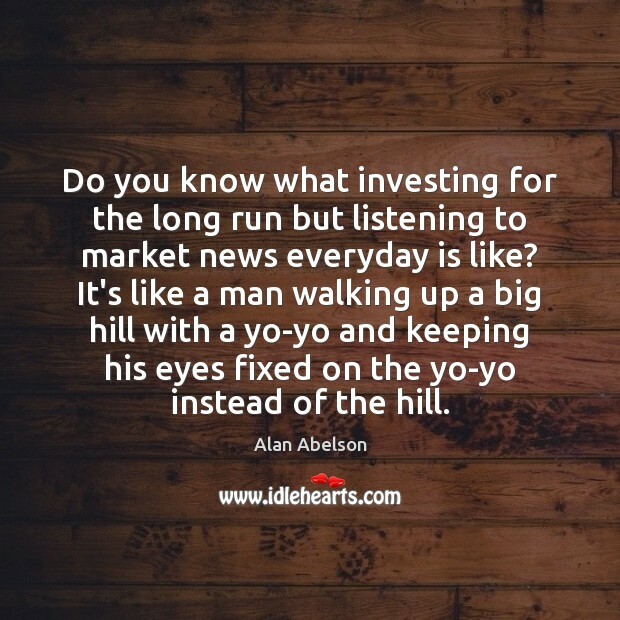 Do you know what investing for the long run but listening to market news everyday is like? It's like a man walking up a big hill with a yo-yo and keeping his eyes fixed on the yo-yo instead of the hill. The author brings to the table a healthy skepticism of the conventional wisdom, an admirable ability to separate fact from fancy, and an undisguised repugnance for the mumbo-jumbo that's the curse of so much commentary on anything to do with economics or investment. 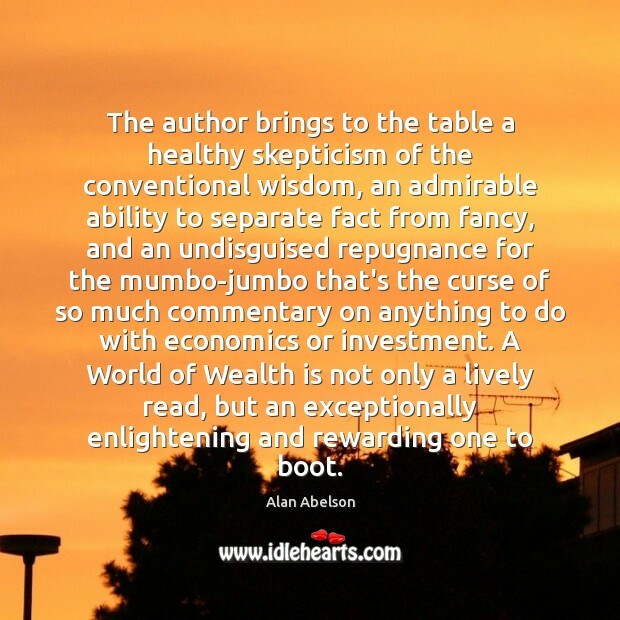 A World of Wealth is not only a lively read, but an exceptionally enlightening and rewarding one to boot.